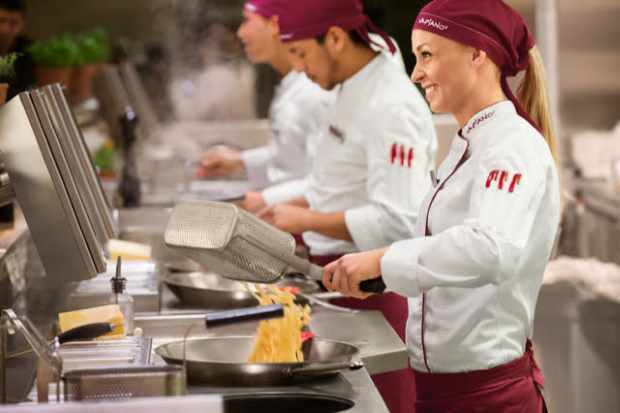 Make January better by heading to Vapiano in Edinburgh or Glasgow and enjoy 30% off your fresh pasta or pizza. Vapiano make handmade pasta, freshly made pizza dough and salads alongside the best buffalo mozzarella, meats and cheese antipasti plates. They offer diners a unique concept with guests enjoying face-to-face interactions with chefs as they cook their dish to order - exactly as the guest likes it. Extra chilli? Sure. No garlic? No problem. Extra Chicken or King Prawns, easy! You will each be given a chip card on arrival, using it to order both drinks and food and you simply pay on the way out - and from 3rd until 26th Jan you will receive 30% off all food. The List's usual rules apply. 30% off food offer runs from 3 - 26 Jan 2019. One discount per person on presentation of this ad. Not valid with any other promo. Discount on food only.